OHSU informatics students who placed 1st and 3rd in the Student Design Challenge include (left to right) Vincent Caruso, M.S., Steven Chamberlin, N.D., Dana Womack, M.S., Ian Stavros, and Matthew Sundling, Ph.D.
A team of students in the biomedical informatics program at OHSU took first place in the Student Design Challenge at the American Medical Informatics Association Annual Symposium, marking top honors for an OHSU team three years in a row. 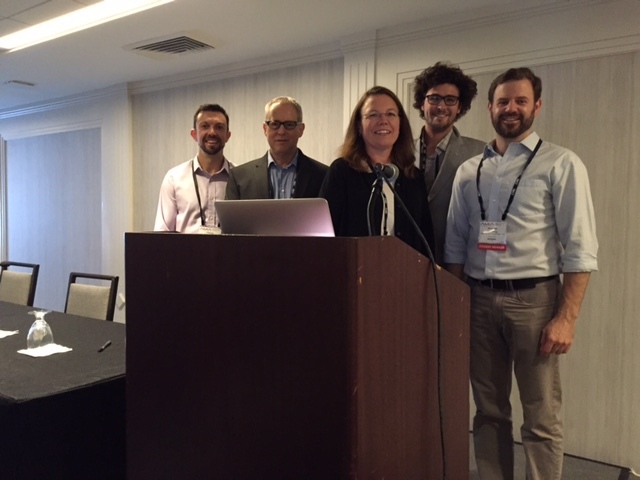 The winners were announced November 16, 2016, at the end of the symposium, held in Chicago, Ill.
Students Dana Womack, M.S., Steven Chamberlin, N.D., and Ian Stavros received the first place award with their presentation on SocialVue: Making Social Determinants of Health Visible in the EHR. In third place was another team from OHSU. 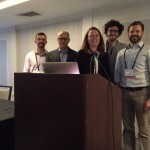 Matthew Sundling, Ph.D., Vincent Caruso, M.S., Kristen Stevens, and Geoffrey Schau, M.S., presented Chronic Disease Monitoring with PrecisionPatientLedger and RAPID3. 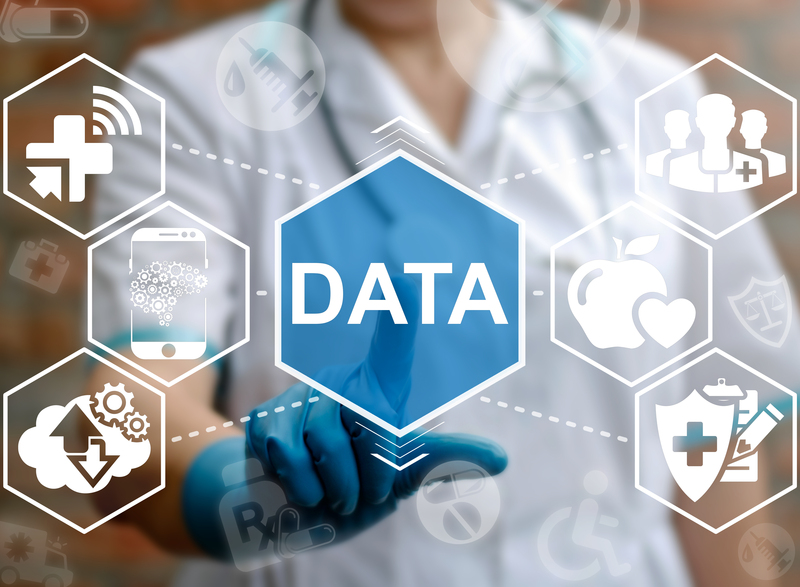 “It gives me great pride to see the talent and insights among the diverse students in our program to win this challenge for the third year in a row,” said DMICE professor and chair William Hersh, M.D. This year’s Student Design Challenge theme was The Human Side of Big Data – Facilitating Human-Data Interaction. Both teams gave podium presentations as well as displayed posters on their research at the AMIA meeting. A third DMICE team, students Raja Cholan, Jennifer Pacheco, Gene Ren, and Laura Hickerson, were finalists in the Design Challenge with their project, Personalized Heart Disease Risk Manager: A Tool for Patients and Clinicians to Manage Cardiovascular Risk and presented a poster at the AMIA symposium. A DMICE student team won the Design Challenge in both 2014 and 2015.